A good friend of mine teases that when we go shopping she can guess what I will pick out before we even enter the store. “Anything that’s cut like a square or a rectangle,” she says. The thing is, she’s right! I always make a beeline for clean lines and simple silhouettes, and this usually means a box. But boxy doesn’t have to mean boring or unflattering. When working with a shape this simple, it’s all about the details. A pop of color, a pretty side slit, and a well-shaped neckline make all the difference, turning a boring box into something worth wearing. 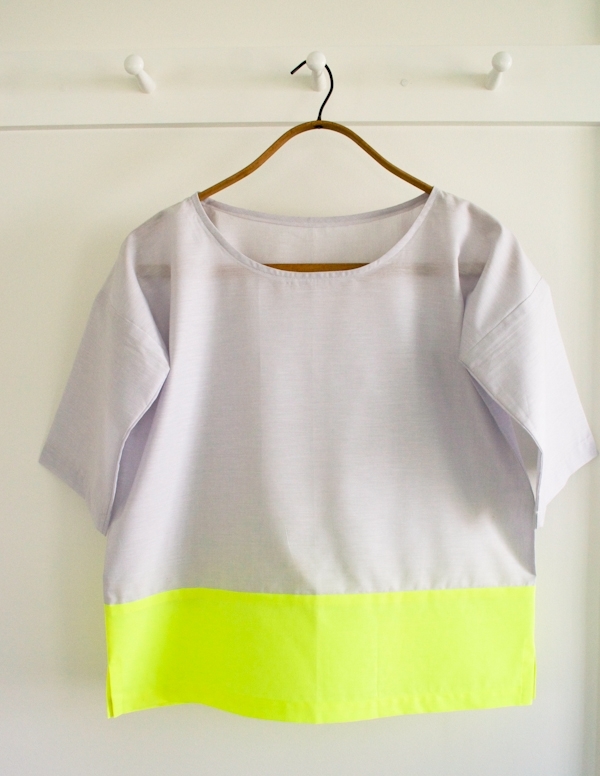 I made my Boxy Tees in Kiyohara’s lightweight and beautiful Fine Solids with fun, electric bursts of Michael Miller’s Neon Solids. 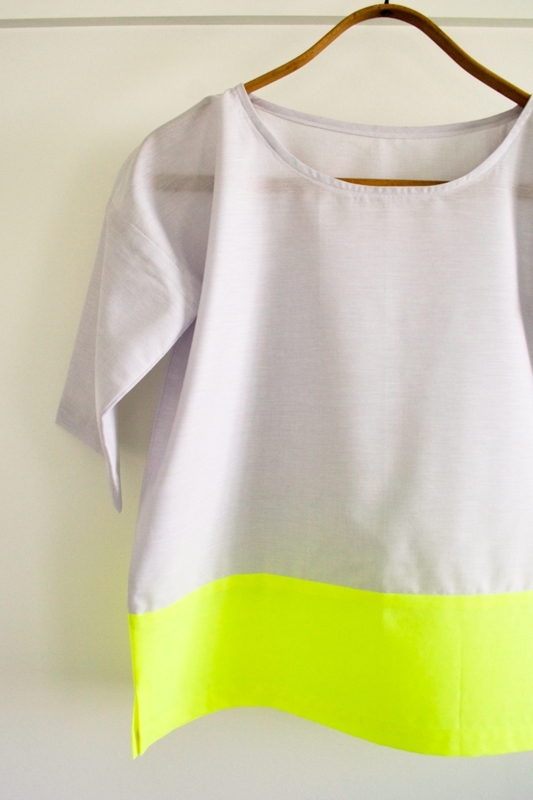 Loose fitting and airy, but with all the right details, this Boxy Tee is just my style. And since I designed the pattern to mix and match three arm lengths, color blocks and a back tie detail, it can easily be just your style too! We’ve adjusted the width of the Sleeves for all versions to make a wider armhole and a roomier fit! All measurements in the pattern reflect this change. 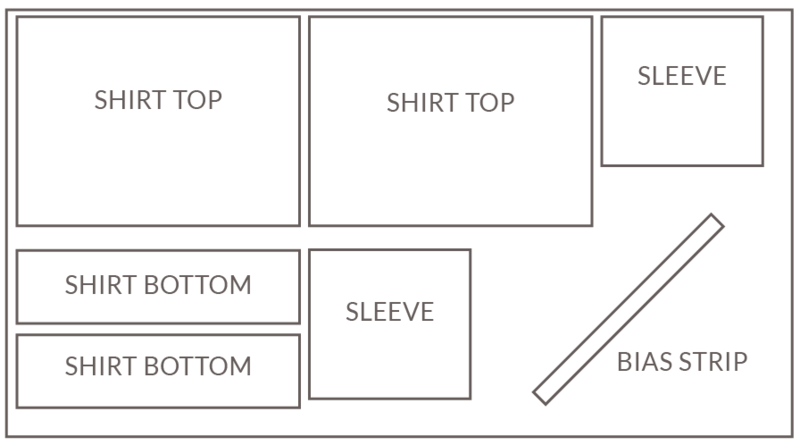 For all versions, you will also need the Boxy Tee Neck templates available for free download here, printed and cut out. Prewash all fabrics before starting. If you are using Michael Miller’s Neon Solids, be sure that it is completely unfolded when you put in in the washing machine and wash it separately. For the sake of clarity our instructional photos show a fabric with a clear right and wrong side. If you are working with the Kiyohara Fine Solids and Michael Miller Neon Solids, or similar fabrics which don’t have a clear right or wrong side, choose either side as the right side for the first seam and follow this precedent for all subsequent steps. 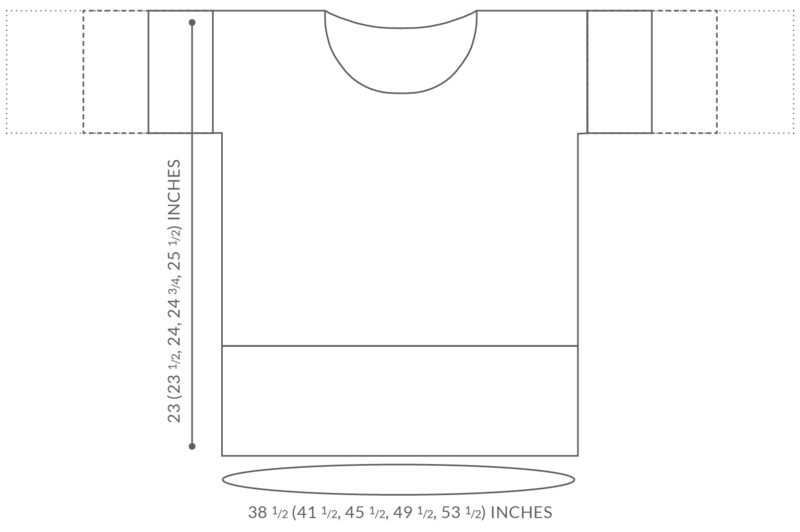 Use the measurements in the chart below to cut 2 Shirt Tops, 2 Shirt Bottoms, and 2 Sleeves. 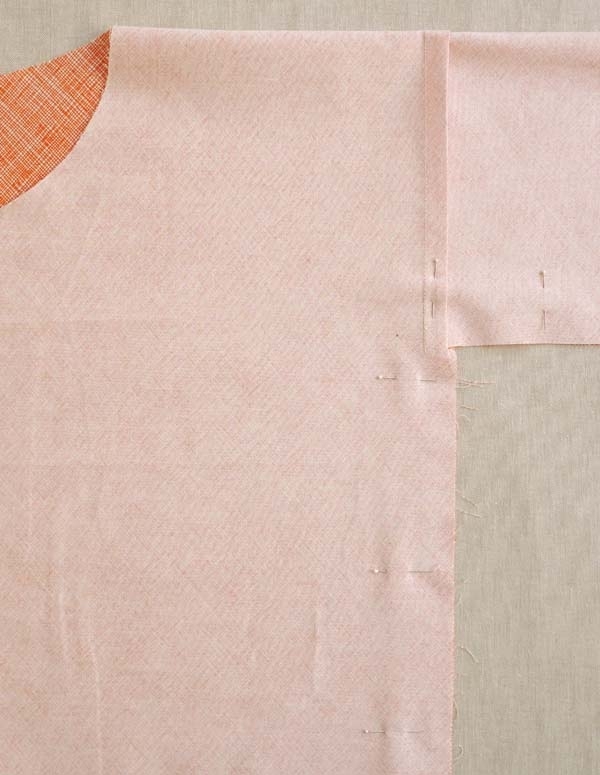 For all Versions you will also need to cut a 26 ¼-inch by 1 ½-inch piece on the bias. Fold one of the Shirt Top pieces in half, lining up its two short sides. 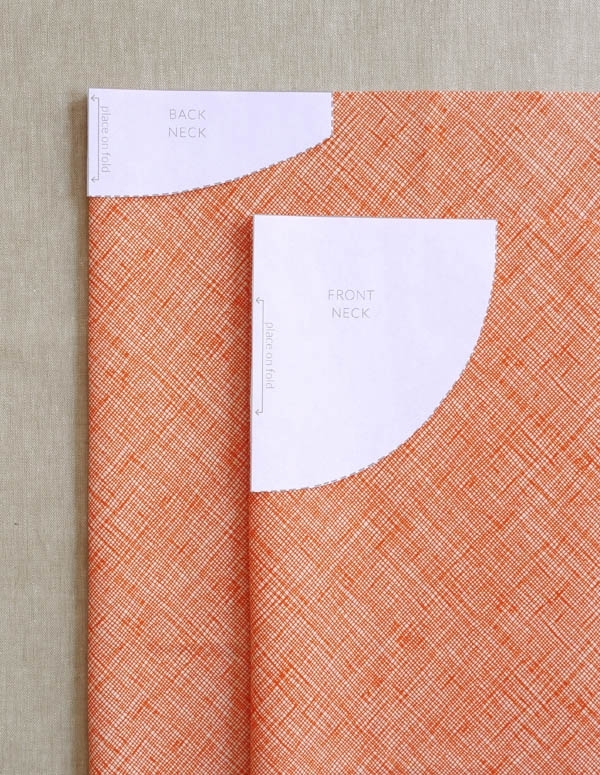 Place the prepared Back Neck template on the fold of one of the Shirt Top pieces, lining up the top edge of the template with the raw edge of the fabric. Cut along the dotted lines. This is now the Back. Repeat with the second Shirt Top and the Front Neck template. This is now the Front. Lay out the Back with the wrong side facing up and the long straight edge at the top. Place a Shirt Bottom piece on top with the right side facing up, lining up one long side of the Bottom with the top edge of the Back. Pin in place. Fold over at the seam so that the right sides are now facing and press. Pin along the fold. 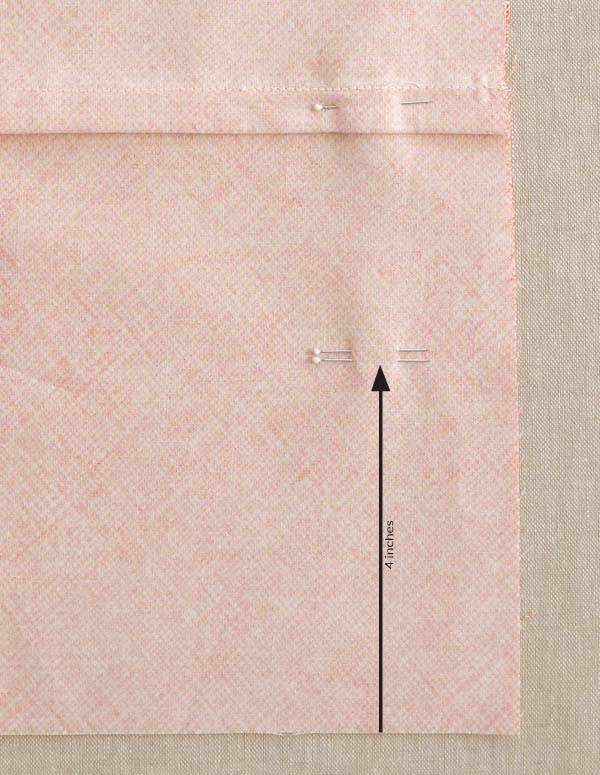 Sew along the pinned edge with a ½-inch seam allowance. Press the seam allowance toward the Shirt Bottom. Repeat with the Front and the second Shirt Bottom piece. Lay out the Back with the wrong side facing up and the Neck opening at the top. With the right side facing up and the Neck opening at the top, place the Front on top of the Back. Line up all the straight edges. Pin along the two top straight edges. 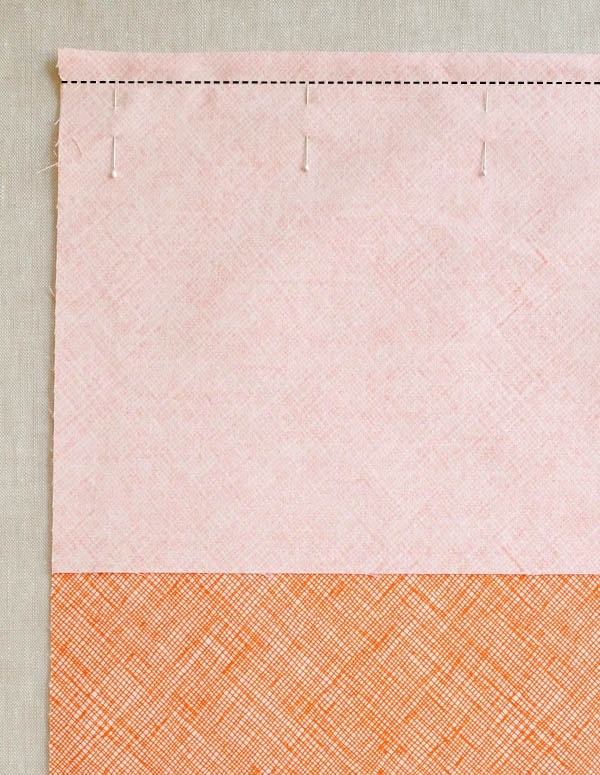 Sew along these pinned edges with a ¼-inch seam allowance. Fold the garment at the seams so that the right sides are facing. Press flat and pin along the folds. 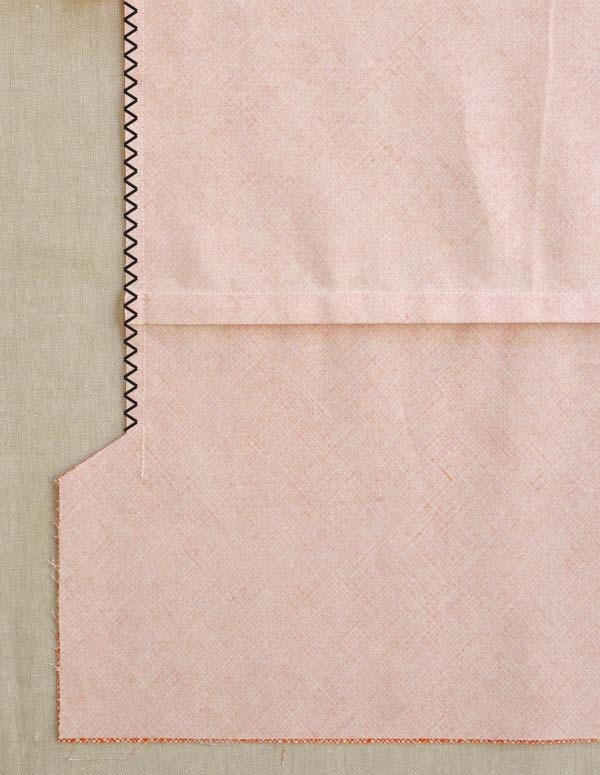 Sew across the pinned edges with a ½-inch seam allowance. Backstitch at the beginning and end of the seam. 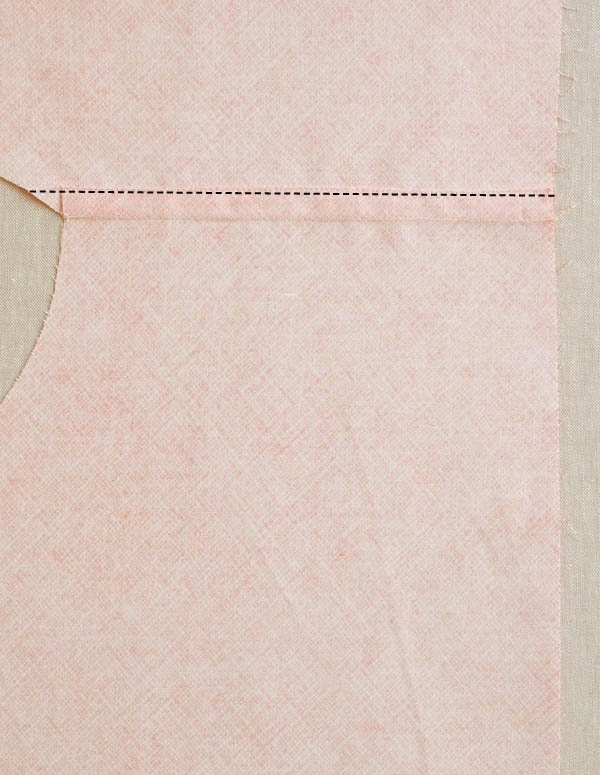 Press the seam allowance toward the Back. 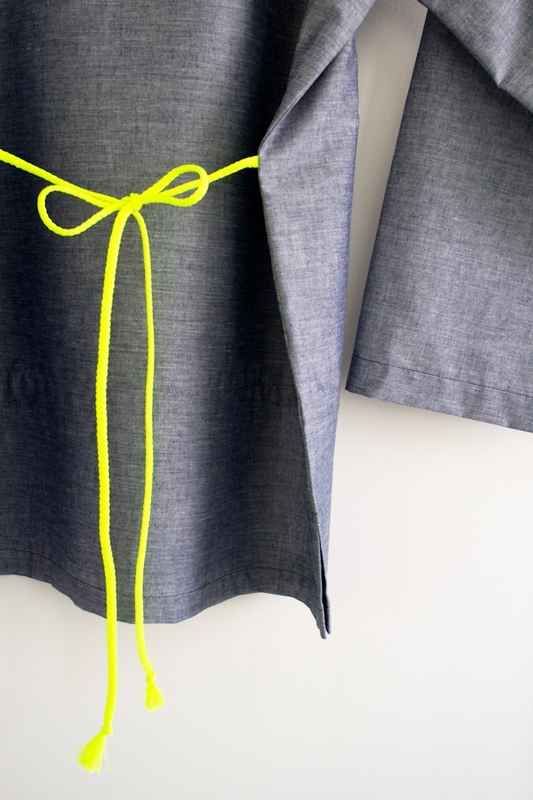 Sew the Shoulder Seam hems down with an edgestich. At the Neck edge of the Shoulder Seam, sew past the end of the hem until you reach the raw edge of the Neck. This is now the Body. 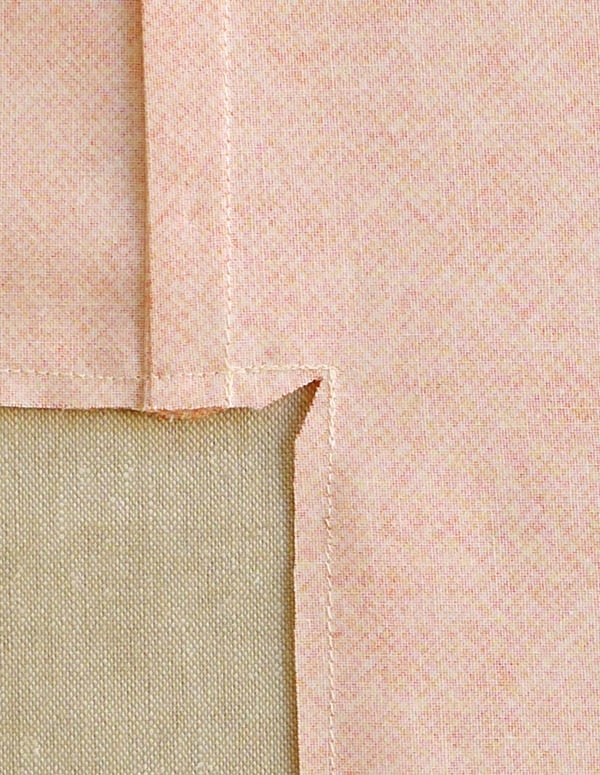 NOTE: The 15 (15 ½, 16, 16 ½, 17)–inch side of the Sleeve is the Shoulder Edge. Fold each Sleeve in half at the center of the Shoulder Edge, press to create a crease and then unfold. With wrong sides together, pin the Shoulder Edge of one Sleeve to a raw shoulder edge of the Body, lining up the center crease of the Sleeve with the Shoulder Seam (be sure to line up with the Shoulder Seam, not with the edgestitch). Sew with a ½-inch seam allowance. This is now the Shirt. For Version C you will attach a Back Tie. 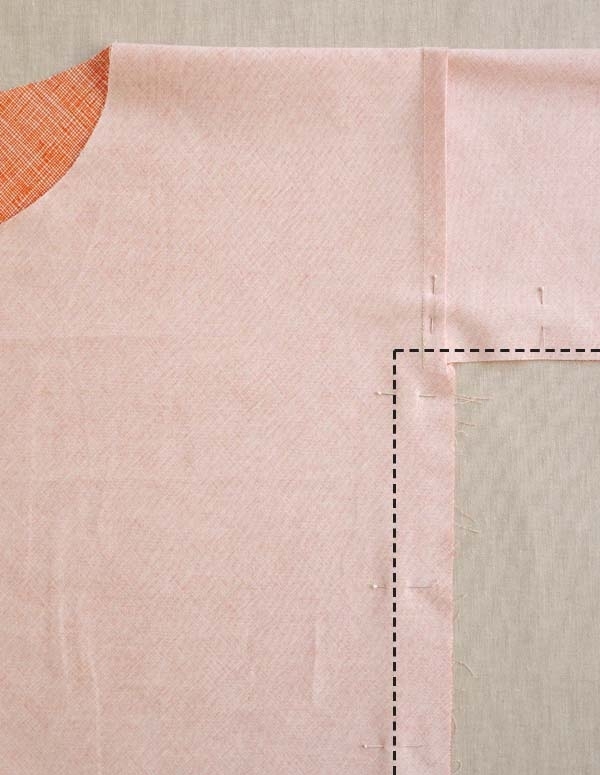 If you are working on Versions A or B, skip this step and continue on to Sew the Side Seams. Cut the cord into two pieces at least 25 inches each. 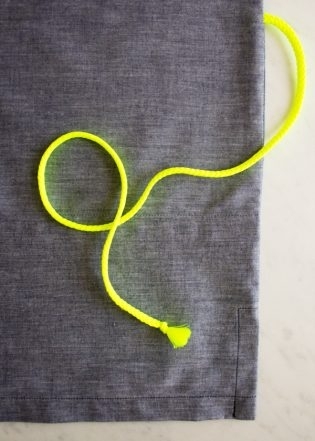 Tie a knot at one end of each cord. At the other end, lightly singe the cut edge with the flame from a lighter or a match. This will seal the threads and prevent fraying. Lay the Shirt out flat with the right side of the Back facing up. Line up the singed end of a piece of cording to the raw side edge of the Shirt, 11 1/2 (11 3/4, 12, 12 1/4, 12 1/2) inches down from the Shoulder Seam. Pin in place. Sew the cording to the Shirt with a ½-inch seam allowance. Repeat with the second piece of cording on the other side edge of the Shirt. 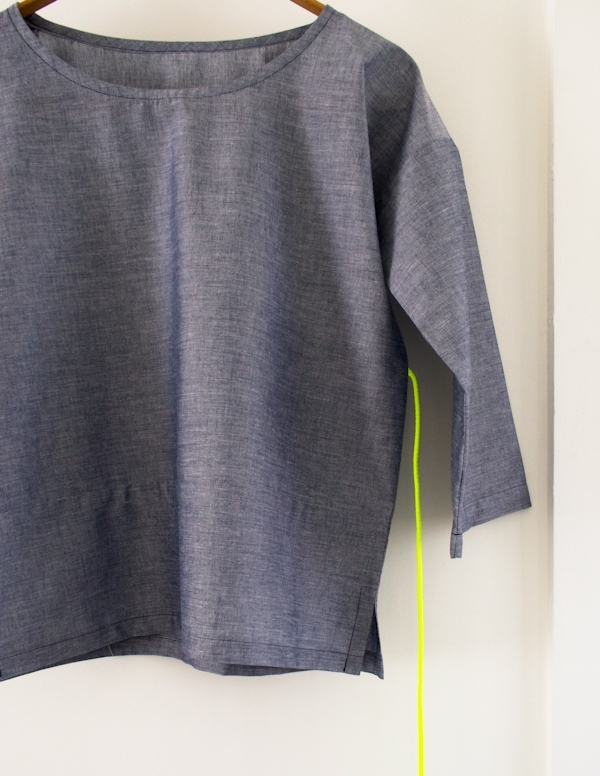 With the wrong side facing out, fold the Shirt at the Shoulder Seams so that the raw edges of the Sleeves, as well as the long sides and bottom edges of the Front and Back, meet. Pin all the sleeve and side seams, making sure the Front and Back Shirt Bottom seams line up. At one side edge. measure 4 inches up from the Shirt’s bottom and mark with a double pin. Repeat on the other side edge. In the underarm, measure ¼ up from the raw edge of the Sleeve and 1 ¼ inches in from the raw edge of the Body. Make a small mark. Repeat on the other side. Right before you reach the mark you made in the previous step, backstitch, then insert the needle and pivot the Shirt. Backstitch again and continue to sew down the side of the Body with a 1 ¼-inch seam allowance. 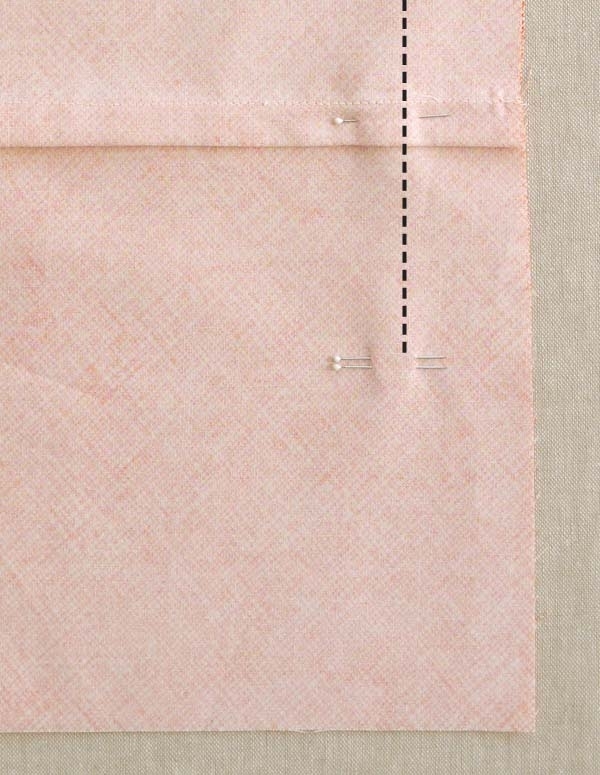 When you reach the spot marked with a double pin, end the seam with a backstitch. The unsewn space at the bottom of the Shirt will become the Side Slit. 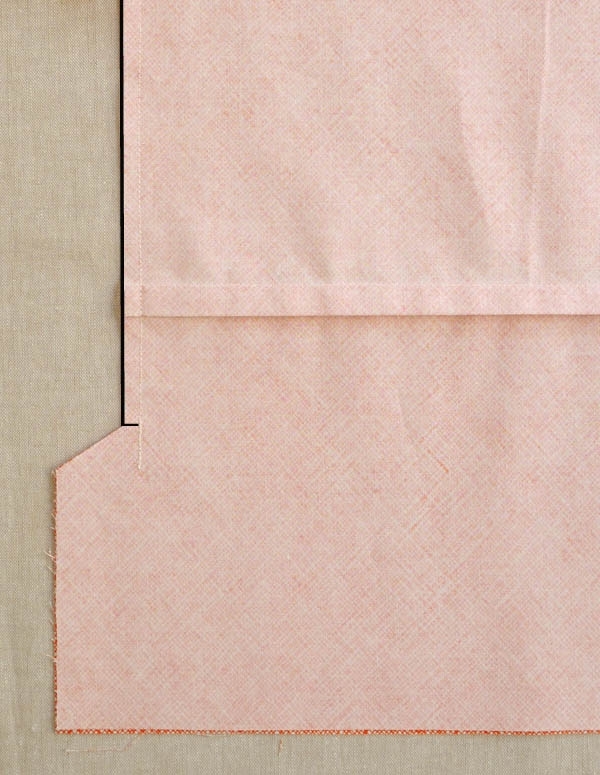 Make a cut into the seam allowance of one side of the Body: start at the raw edge directly across from the end of the side seam and cut diagonally up, ending ¼-inch before the seam line. 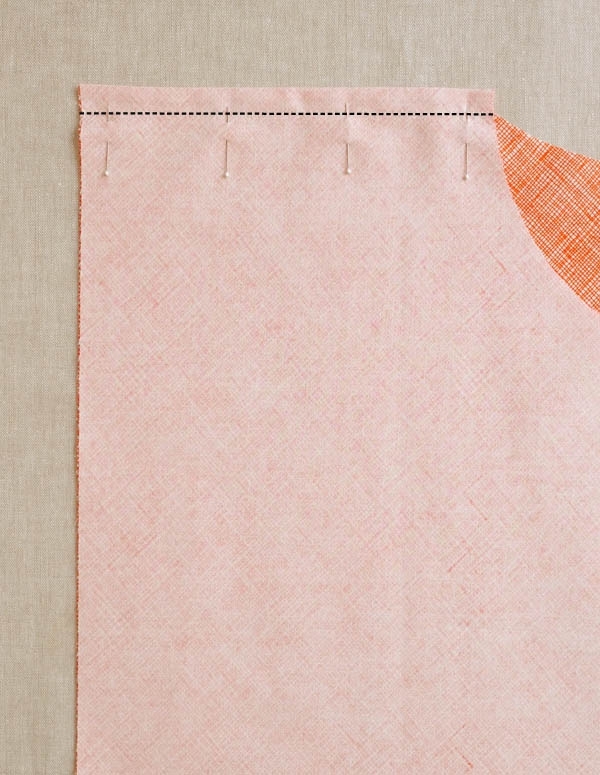 Make a small, horizontal snip into the seam allowance at the end of the diagonal cut, making sure not to cut past the seam line. 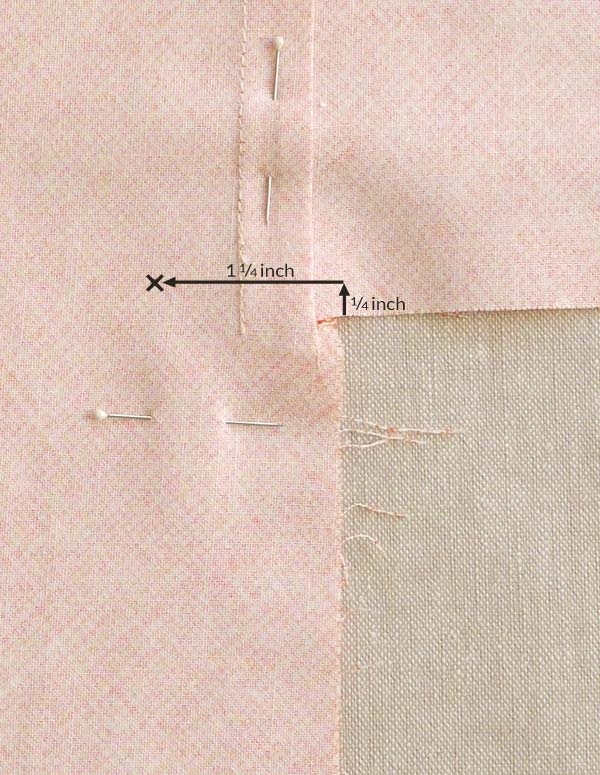 Trim the remaining seam allowance of the side and sleeve seams to ¼ inch. Repeat on the other side. Cut a small notch into the underarm, making sure not to cut past the seam line. 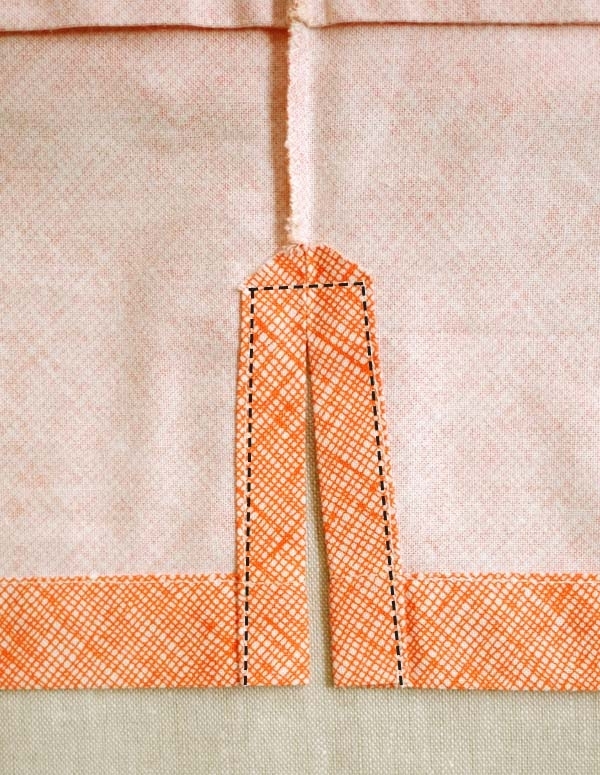 Sew along the trimmed seam allowances of the side seams with a zigzag stitch. Backstitch at the beginning and end of the seams. Repeat with the sleeve seams. 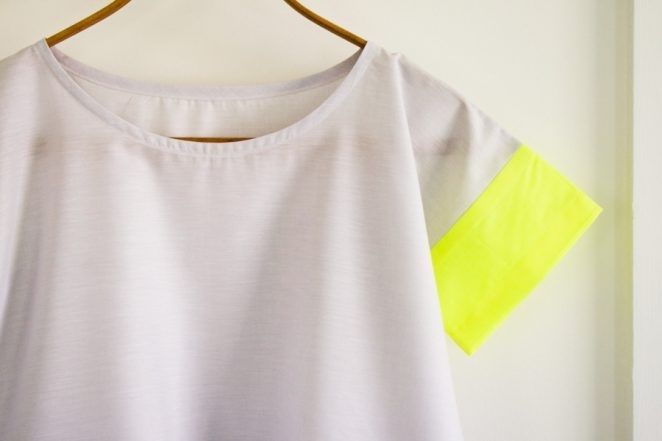 Fold the bottom edge of the Shirt Front up ½ inch towards the wrong side and press. Now, fold the edge up 1 inch towards the wrong side, press and pin. Sew the hem down with an edgestitch. Repeat with the Shirt Back. Following the line of the side seam, press open the two flaps at the Side Slit so that their wrong sides face the Body’s wrong side. Fold the raw edges of the two flaps in towards the wrong side so that the raw edges meet the creases. Press flat. Sew the folds down with an edgestitch. 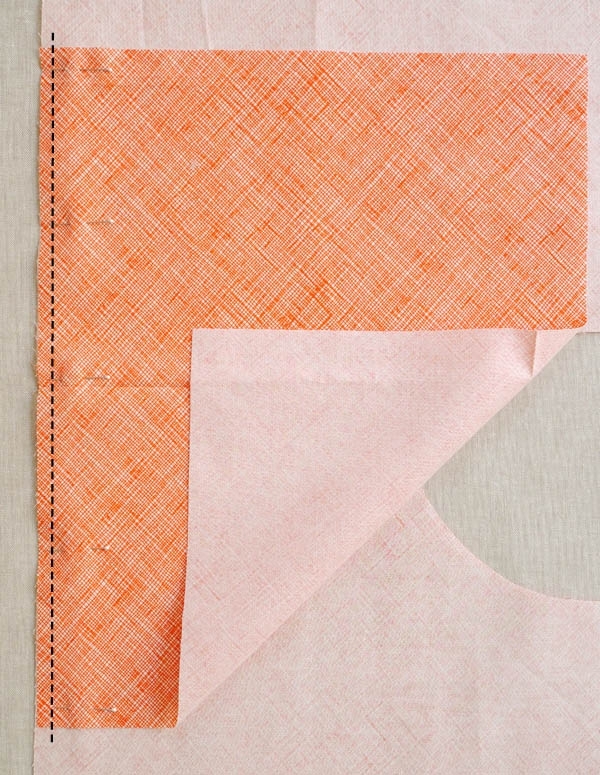 Fold the raw edge of one of the Sleeves in ½ inch towards the wrong side and press. Now, fold the edge in 1 inch towards the wrong side, press and pin. Sew the hem down with an edgestitch. 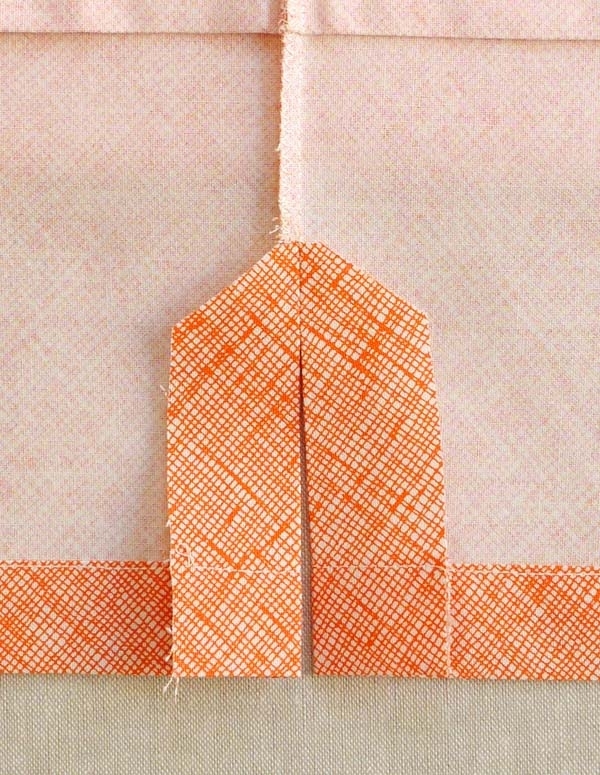 Fold the bias strip in half lengthwise with wrong sides together and press. Unfold. 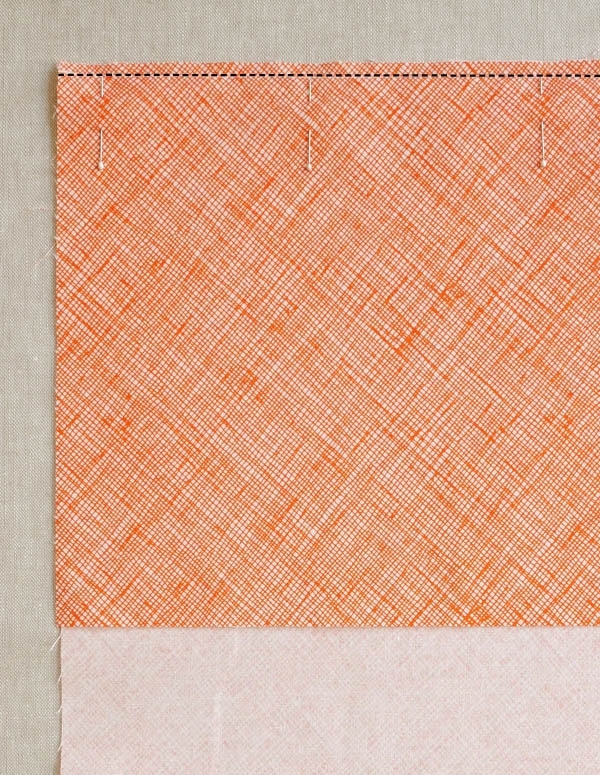 Fold the bias strip in half widthwise with right sides together so that the two short sides meet. 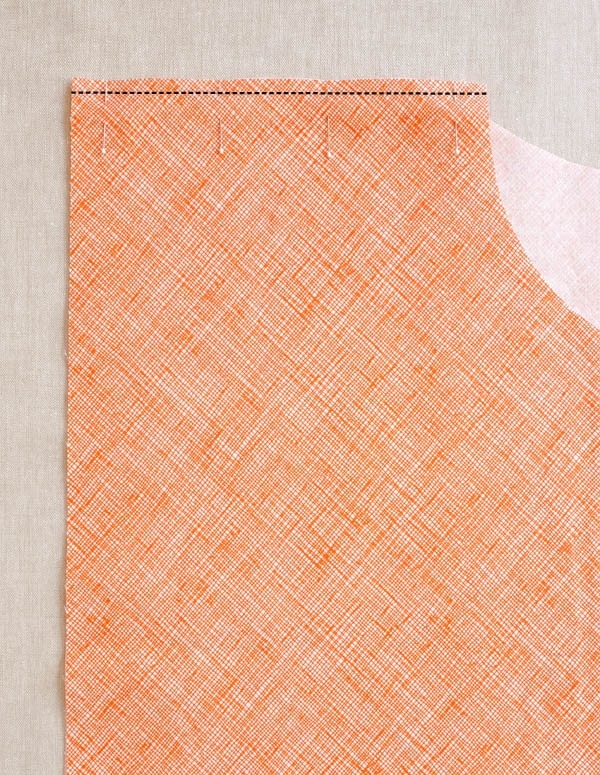 Sew along the short side with a ½-inch seam allowance. Press the seam open and refold the strip along the lengthwise crease. 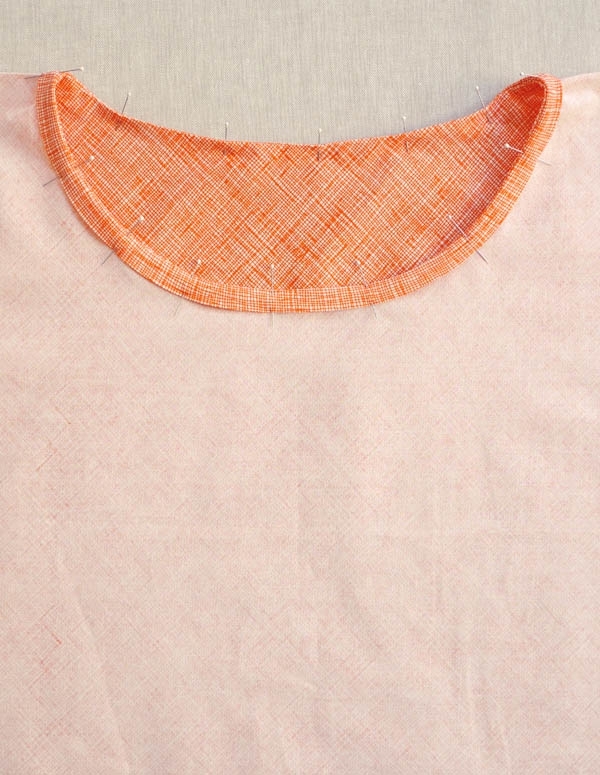 Sew the strip to the neck edge with a ¼-inch seam allowance. 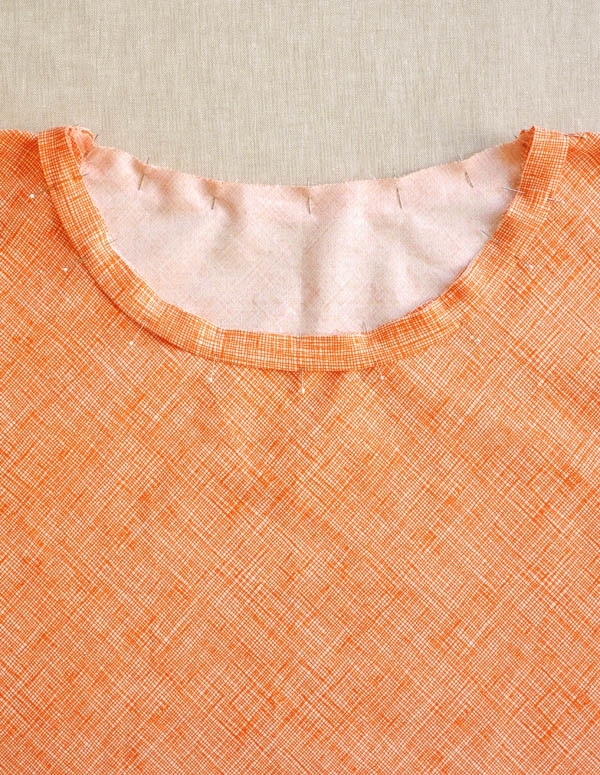 Fold the bias strip to the wrong side of the Shirt along the seam line, press and pin. 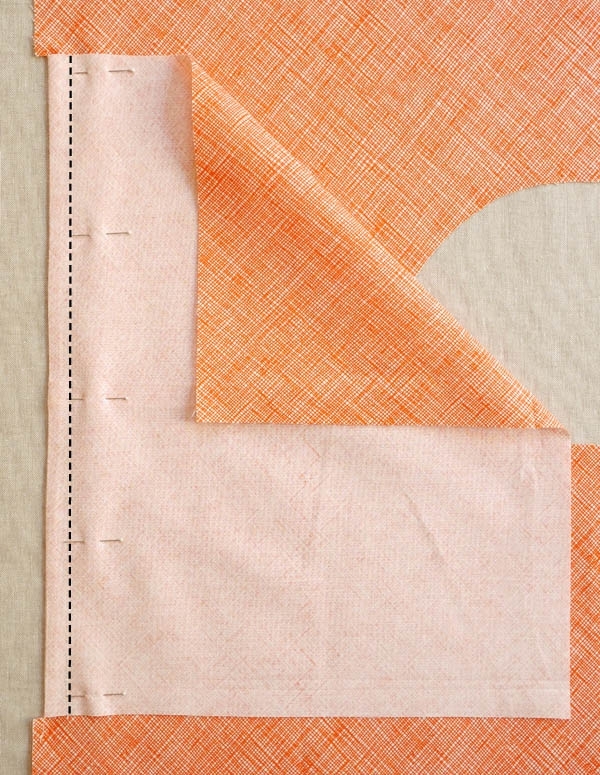 Sew the strip down with a ¼-inch seam allowance. It’s all done and ready to wear! Yay! I love that someone finally came up with a formula and method for this sort of top! I love boxy tops too! Thank you so much! Any chance we can see what it looks like on a person? They're beautiful on the hanger but I'm wondering if they'll fit me nicely. These tops are beautiful!! 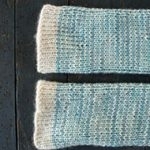 I think I am going to make them in jersey or linen with a touch of stretch – thank you for the very clear patterns! I adore boxy tops! Can't wait to make one! Bravo! This was quite the undertaking! Would love to see the top on a body if you have a willing model. Just so excited to see the sewn garments showing up here more often. Woot! Just perfect. Thank you so much. I love a boxy top too! 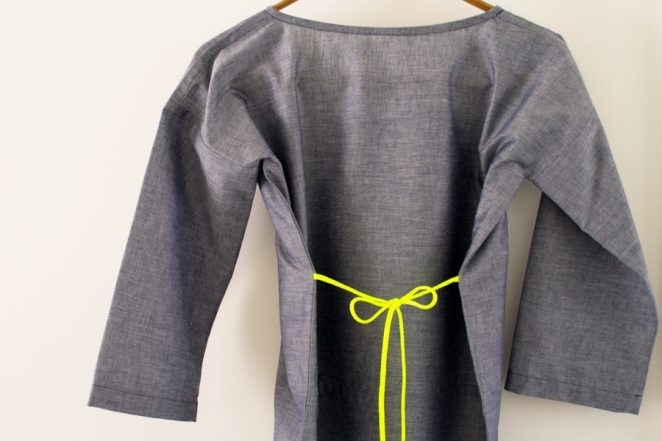 I love the projects on the blog, including this one, but I am always reluctant to take on a sewing or knitting project when I can't see it being worn. What looks lovely on a hanger doesn't always look very good on a person. I wish you would post photos of these garments on people! Can you tell us more about, or give measurements for, the neck opening cut outs? 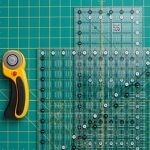 The photo is helpful, but I'd just love more details about how to size those cut outs. Thanks so much! It's coming up to winter here in Australia and this is just the thing to pop over long sleeved t-shirts with a cosy scarf at my neck. I'll try for a heavier weight material. I love this! I would like to see someone wearing the tee because I am a bit insecure if its something for me (small bust and wide shoulders).. Do you have a flickr group? Gosto muito do seu trabalho. Vou fazer uma dessas para mim. Amei! We don't have any shots of this on someone at the moment be we will try to get a pic on a person and post it on Instagram or Facebook in the next week or so. Thank you! The neck templates are available for free download directly above the "pattern" and "finished measurements" section of this pattern. Thank you for the wonderful photos and instructions. This is perfect for summer, thanks so much, right now I can't find a tee shirt with sleeves longer than my arm pit. This is nice, cool and stylish! Great design. I love all the little details (french seams) that give this a nice polished finish. I have finished my first one and am halfway through my second. Thanks for the great free pattern!! Hi everyone! I just made Version C in a soft, drapey double cotton and I LOVE it. I am NOT actually a fan of boxy tops but this one spoke to me and I adore the fit. I made the small (I am 5'6", 120 lbs) and it fits perfectly. Much less voluminous than I anticipated and for which I am grateful, also shorter than I thought. I would consider adding some length next time, though I admit I have a longer than average torso. I will definitely be making more, soon! I still need to put on the neck binding and once I do, if I can figure out how, I will post a picture of me wearing it. Thanks again Purl Bee for another brilliant, elegant, simple project. For those who wanted photos, here's my first attempt, with some pintucks (?) in the back for a little shaping: https://www.flickr.com/photos/danzfool/14253252435/. I think I'll also add the ties from version 3. I used more fabrics than suggested, but really like the patchwork look that resulted, and the way it enabled me to use up some pretty quilting scraps. For my next attempt, I think I'll plan on the version C ties off the bat and drop the neck a tad. Otherwise, a great use of rectangles! So exciting to have a fairly quick, finished project *for myself*!! I made this today and it was so easy with your instructions! I managed to finally use up some scraps of lovely material that I've had for years and for which have never found the right project! I'm a UK size 10 and I used the small size dimensions and it fits great. I made the short sleeved version (as I only had just enough of the material) although I suit/prefer a longer sleeve normally. Once made, the sleeves reached to mid-humerus anyway- so it was perfect. I always find bias tape a bit of a nightmare to get right and so I finished off the neckline before sewing up the sides as it gave me more room to manoeuvre . I also hemmed the sleeves with the tape to match. I learned a lot on this project and I'm really pleased- can't wait to try a different version! Hi, a quick follow-up comment on the tie variation. I think the instructions are a little confusing/out of step with the design. The first time I made this shirt, I initially didn't add the tie, so I had to go back, open up that part of the side seams and sew the ties in. When doing that, singing the end of the cord made sense. However, when I tried a second shirt for which I added the ties before sewing the side seams, the instructions didn't jive with sewing the side seam 1 1/4" in. If I attach the tie — as directed — so close to the raw edge, I'm going to end up cutting off both the singed end and the initial point of attachment when I trim the 3/4" to 1" of the raw edge off later. So, at a minimum, I think it's safe to not singe the end and just assume you'll zigzag over it along with the trimmed raw edge. Otherwise, I think you should pin the ties 3/4-1" in from the uncut raw edge. Does that make sense? Thank you for writing in. I'm so glad you like the project – and enough to make it twice! The first top you made looks great! It is true that the singed end of the cording and initial stitch line get cut off in later steps as you point out, but this was a conscious decision in the pattern making process. 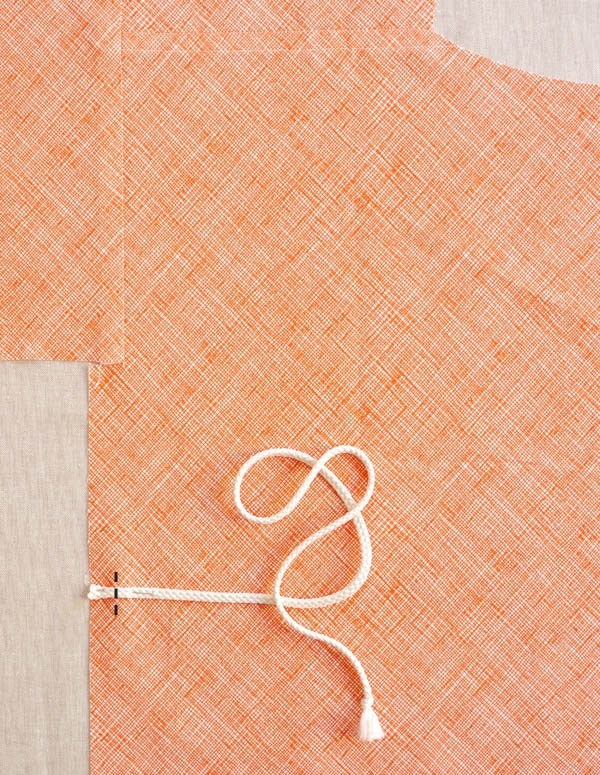 The end of the cord is aligned with the raw edge of the garment for simplicity in the pattern, and the initial stitch line is meant only as a tacking stitch, to eliminate the bulk of an extra pin in this spot. As you point out, the side seam and zigzag stitch in later steps will finish the edge of the cord, so there is no issue with these pieces getting trimmed off. That said, the construction methods that you suggest sound like they would also work well, though I would recommend that you still singe the end of the cord. My experience with this cording is that if frays quite quickly and I would hate for it to start unravelling before you've had a chance to sew it down! Looking forward to seeing version 2! Corinne, thanks for the explanation. I'm a little obsessed with this pattern, in case you can't tell. 🙂 Last night I finally finished changes to version #2: https://www.flickr.com/photos/danzfool/14434959931/in/photostream/. Later this week I hope to try version #3, with no bottom section and some Liberty fabric I originally intended for one of PurlBee's scarf patterns. I just made this top and it came out great. The only issue for me is that the sleeves seem to fit too closely under my arm. I think this problem could be resolved, though, by lengthening the sleeve piece. I finally finished version #3 with a couple classic Liberty prints. This might be my favorite version so far: https://www.flickr.com/photos/danzfool/14614935305/in/photostream/. Corinne, thanks to all this practice, I felt brave enough to try my first shaped blouse by adapting a vintage dress pattern that I had already created a muslin for. It turned out great! (Picture forthcoming.) Thanks for sharing such an inspiring pattern. Thanks so much for sharing this picture and for your kind words about the pattern. It looks great!!! As a quick update on this pattern, having now made three versions: the underarm seam can be very prone to tearing if you stretch the wrong way. I would recommend reinforcing it — and because the sleeve also ends up being somewhat narrow, it probably wouldn’t hurt to widen the sleeve pieces 1-2″ overall. The best way to determine which size to make is to look at the finished measurements under the “Sizes” headline. this is just brilliant! 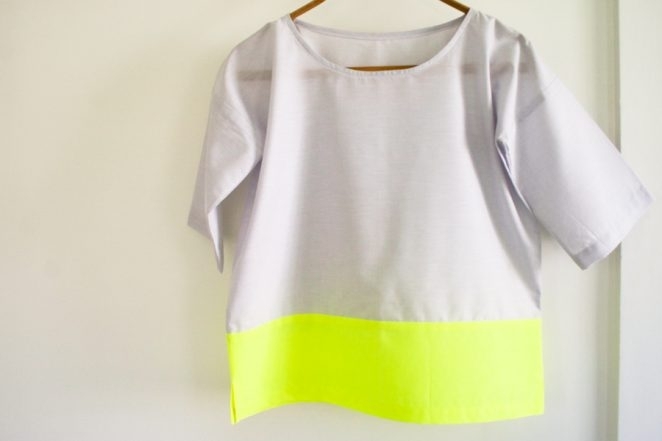 I have some fabric arriving in the near future and your tutorial is perfect for guiding me through making my first top. Thanks for taking the time to be so painstaking and methodical – it will really, really help me avoid making newbie mistakes. Do you think this would work in a heavily sequinned fabric? I am trying to find a boxy top pattern to make a top for a special occasion. It is to go with a long black tuille skirt. I want to wear the top loosely on the outside of the skirt. I am prepared to sew it by hand due to the sequins. I think this top would be lovely in a sequined fabric!Sounds like it will be a beautiful outfit. You may need to alter some of the construction of the Shirt to accommodate the bulk of the fabric (i.e. eliminating the French seams and modifying the side slits).I recommend using a scrap fabric to make a sample of the Shirt first to become familiar with the pattern. This will help you to determine what will and won’t work with the sequins. 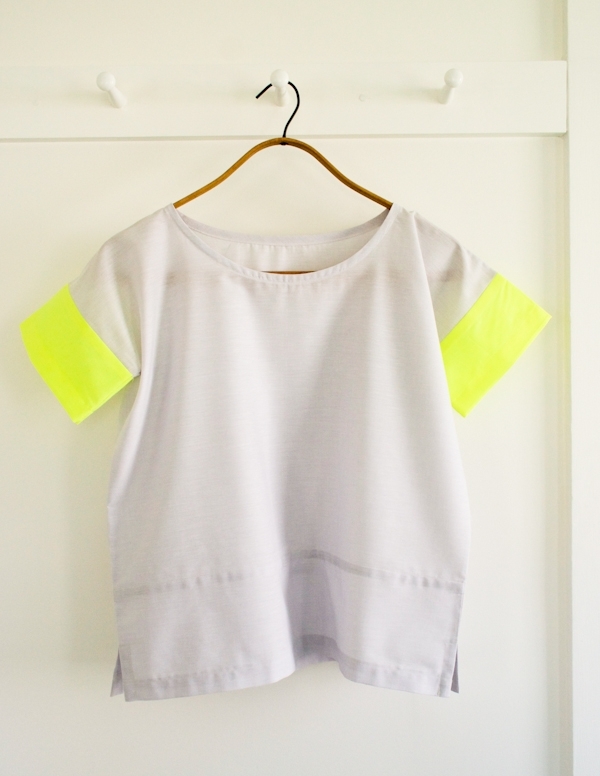 I just made my first boxy tee… I did it in some leftover fabric (and will just wear it around the house) as a test run before committing good fabric to it… I’m a little big-busted, so sometimes boxy tops without darts don’t sit right on me – this one does ! So now onto making it in my good material ! I would like to agree that the sleeves/armpit area are a little tight (I’m a US 12 and made the large… although I’ve got largish arms). I think I’m going to add 2 or 3 inches to the length of the sleeve for the real deal. I also made a mistake when cutting the head hole for the front and cut on the wrong side. However! I trimmed it up and now I’m kind of thrilled about the high low thing going on (the back is now about an inch and a half longer). I think it adds an extra special touch. Really, I am so excited to make the final version! Thanks for putting this together! I recently made version C using 100 % cotton fabric. The instructions were very clear and easy to follow but I am leaving a note because like others I found the armpits very snug. If I made this again I would add another 2 inches to the sleeve width where it joins the shirt. Apart from the armpit issue, the rest of the size (width, length) was fine. Thanks to all the wonderful feedback we’ve received on this pattern, we’ve adjusted the sizing of the Shirt to include a wider armhole. An additional 1 1/2 inch has been added to the width of the Sleeves for all versions. All measurements in the pattern now reflect this change. Another great suggestion! Thank you for pointing this out! We will be sure to adjust the PDF. I am wearing my Boxy Tee for the first time today! Thank you everyone for the sleeve width suggestions. I wear an XL (US size 18) and after making up a muslin I thought the shoulders were too tight. I widened the sleeves 3″ and it fit great. I’m not even sure which version I made – I had 3/4 sleeves but ended up cutting them shorter (they hit just at the elbow). I bought a flowery patterned fabric, so I wasn’t going to mess with trying to find a contrasting fabric (it’s a lightweight patterned denim). I want to make more of these! My only complaint is that the bias tape was not wide enough. After I sewed it on and turned it over – sew with 1/4″ seam allowance? I only had 1/4″ left! I stitched it down with a triple zig-zag stitch. By the way I am new to sewing and this is my first attempt at a garment. Very easy. What a great pattern, it was so clear and easy to follow. I used my contrast colour for the bias binding too. I made it up in an evening and it looks great on. Thank you! I also had an issue with the bias binding being too narrow. The pattern is otherwise very forgiving to the clumsy or inexperienced or both(like me.) But as Tim Gunn would say, I made it work. Any reason not to cut a wider strip if I make it again, say, two inches? Thanks for the great pattern. Thanks for writing in. I’m so glad you liked the pattern! You could absolutely size the bias strip up to 2 inches with no problem at all. I love this! Made it with Cloud 9 organic double gauze. Very soft and comfy. Going to try a knit next. Thank you…another beautiful, satisfying pattern. Thanks! Your design is as neat on the inside as on the out. I enjoyed making the blouse. 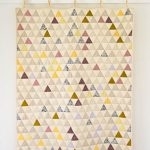 I would like to know how much fabric version C would use with some wider fabrics, say 54″ fabric? For the size 40-43. Thanks! Thanks for writing us. For this size in version C you’ll need at least 56″ wide fabric to buy less yardage. With a 54″ wide fabric you’ll use the same yardage required because you won’t be able to cut your front and back along the same width. However, if you wanted to cut the shirt bottom on the cross grain, you could probably get away with less yardage for a 54″ fabric. If you have a 56″ wide or wider fabric, you’ll need approximately 1.5 yards. Love the looks of this top. I just purchased some lovely softened linen and have been looking around for patterns to best use it with for upcoming summer days. Not to sound dense, but… If I’m doing version C (no contrast fabric), why do I need to do a bottom piece? Why not just cut the front and back longer to start with? Thanks for writing in! We are using the bottom piece as a design element for this lovely top. So even if you are not choosing to use a contrast color, we like the look of the additional seam. You can certainly omit it if you would like. Simply extend the top and bottom pieces down the length of the bottom piece being sure to omit the seam allowances for sewing the bottom to the top from the overall measurement. Hello! As a beginning sewer, this has been my favorite top to sew. I’ve tried so many small variations, and each time I love the pattern more and learn more tricks to add to my sewing skills! Question: is there a way to also French seam the sides? I have tried this (so that both the sleeve and sides are French), but I always end up with puckering in the underarm despite techniques to avoid it, like cutting a small notch. 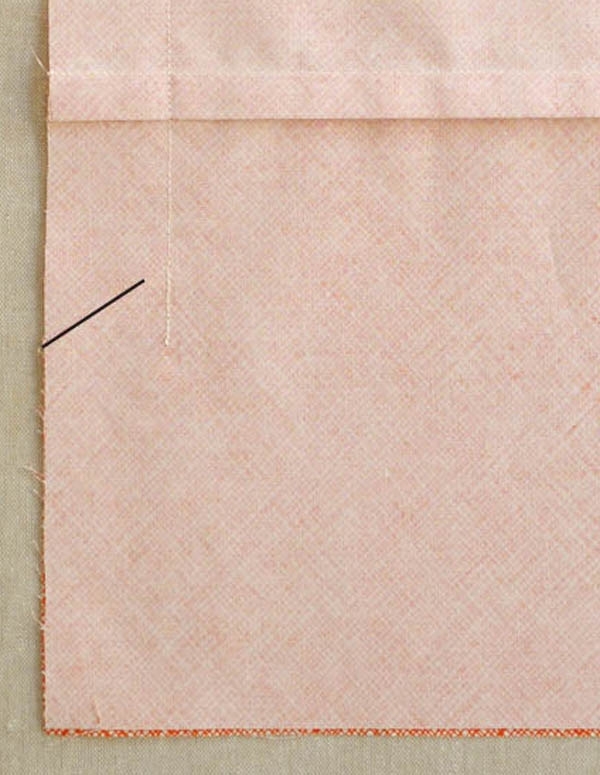 It is essentially a French seam within a French seam. Is this not possible? Open to advice and ideas! Thank you! Thanks for writing in and for your kind words! Sewing French seams at the side is tricky at best. While we love the look and feel of the French seem, at the sides, I would not recommend it as the meeting of the sleeve to the body is challenging as well as making accommodation for the bottom side slit. You could try folding the side seems under themselves and top stitching along them just to the under arm but I suspect that this could get quite fussy as well. I’d like to buy this pattern, but i cant find the link anywhere! I clicked on the link in the materials section and also in your comment above, but the PDF only has one page with the front neck and back neck pieces… it’s missing everything else! I would love to make this top–can someone update the pattern so that it has all the pieces? Thank you!! Thanks for writing in! 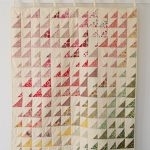 This lovely pattern is not a typical tissue pattern but rather is a series of rectangles! The templates provided are there just to cut the neck pieces from the rectangles listed. Please check above under the Pattern section for the cutting guide and an image showing you how to use the templates once the rectangles are all cut! Thank you for your kind words! We are so happy to hear you enjoyed your project! I love the look of this! However, I can’t seem to find the pattern anywhere? Thank you for reaching out! This is a free pattern and can be printed or downloaded by following these directions; If you’re on a desktop version of the site, you will find a “print” icon in the right column just below the date and tags. If you’re on a mobile version of the site, you will find a “print” icon below the pattern and above the comments. Hello Purl Bee! Once again you’ve created a wonderful pattern and easy to follow directions and photos! This was my first garment I’ve sown for myself as an adult, and it was wonderful! I so appreciate you sharing free patterns and I have learned to sew after a 10 year hiatus because of your site. That being said, this pattern is a bit tricky. I have slim arms, and I’m a small or medium shirt size. I still found the sleeves to be snug at the armpits. It’s not impossible or completely awful to wear, just a bit tight. I will follow the advice of other commenters and add an extra inch on my next attempt. Thank you for writing- It is so exciting that you have rediscovered sewing! It is so useful for us and our sewing community to have you share your experience with this pattern. Thank you so much for this pattern! I made version B in flannel and it turned out lovely.